These have lingered in the vault longer than I care to admit, and it always shames me when it's a brand I love. 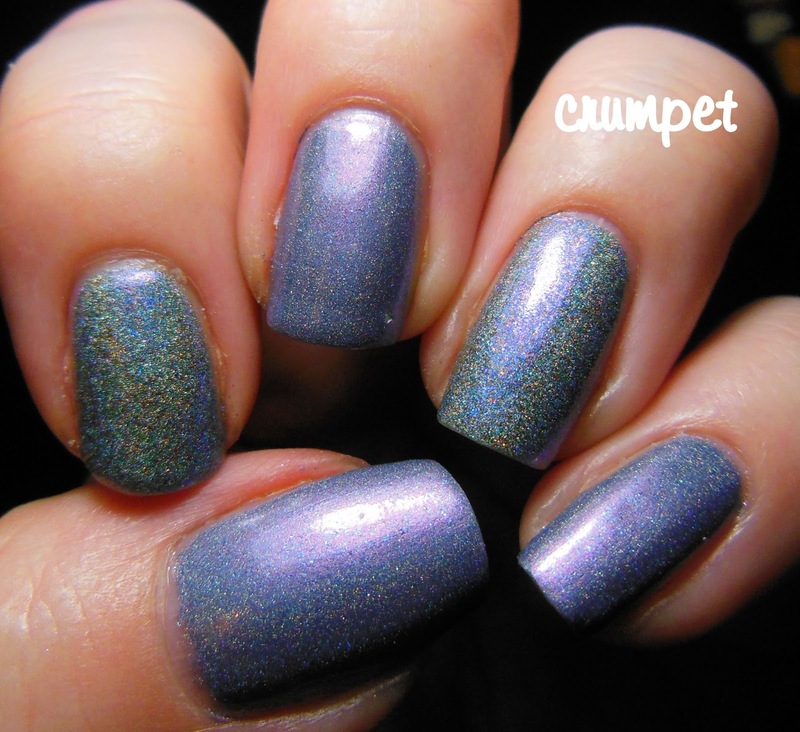 I bought craptons of Mentality polishes last year because They Don't Do Glitters lol, and I was craving indie polishes that were different, but not glittery. 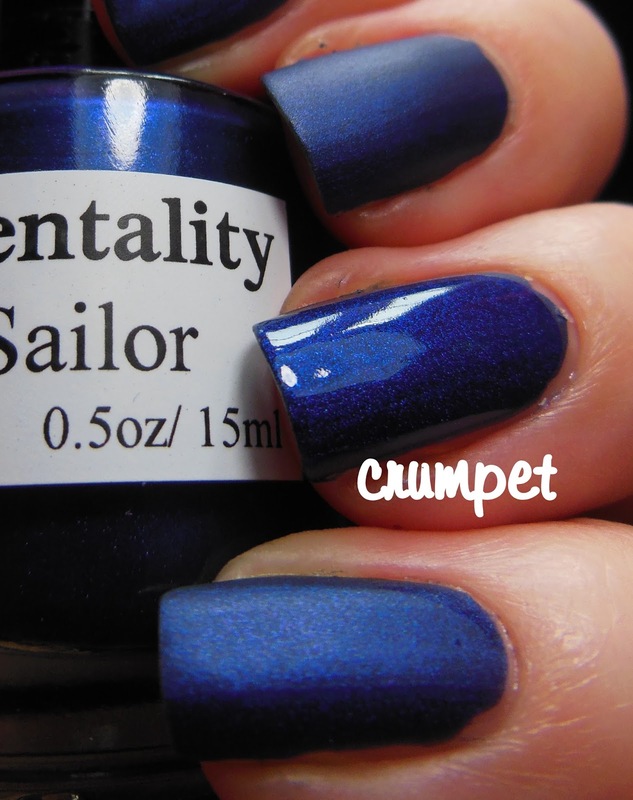 We start with Sailor, one of the matte polishes. 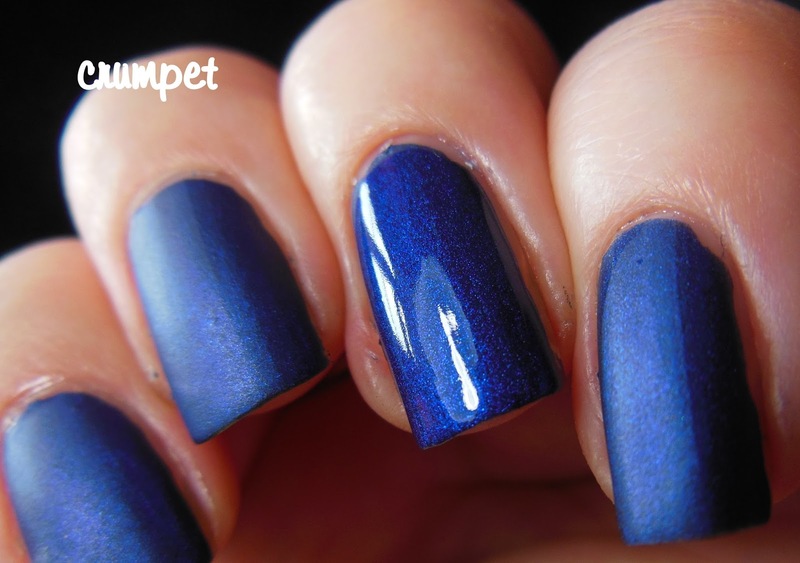 These are genius polishes, opaque in one coat, and utterly gorgeous. 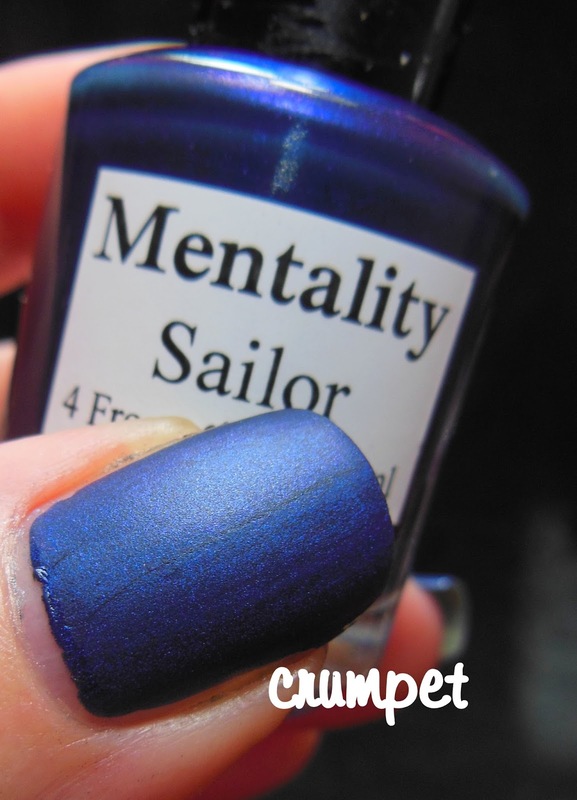 Sailor is a medium to dark blue and looks gorgeous. 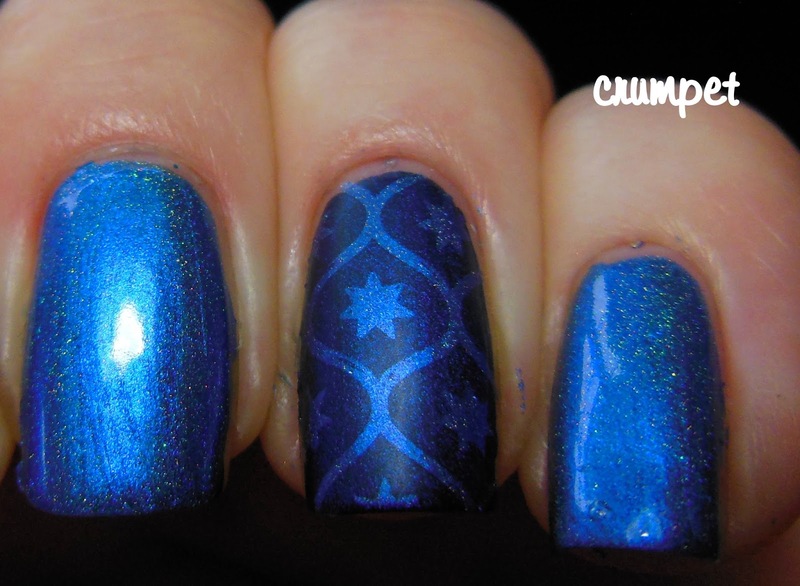 I most love the activity you can see in this polish - it's not just a flat blue, it almost has texture. AND it glosses up beautifully. 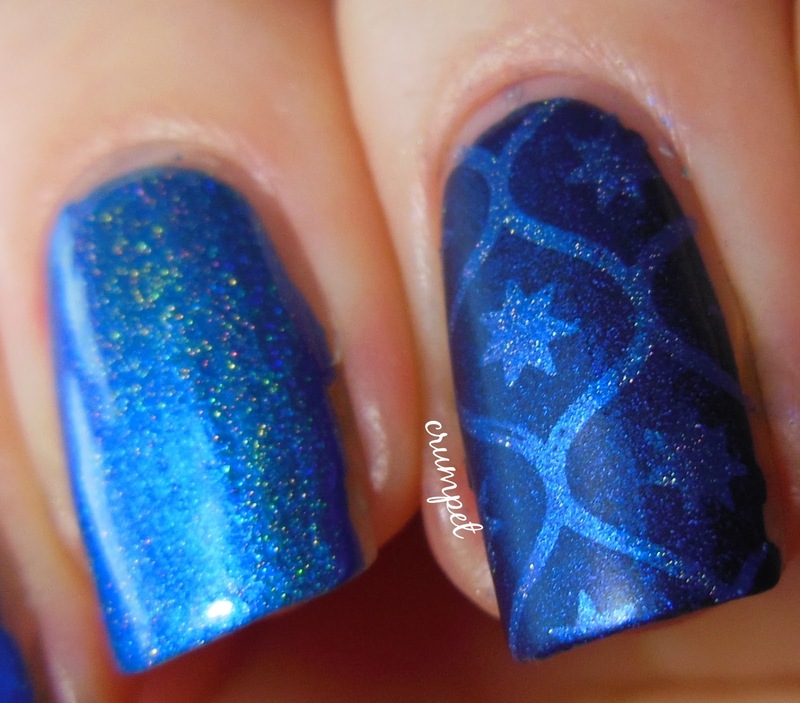 I then did some stamping with Scalawag, a gentle scattered holo which played with Sailor beautifully on the ring finger. 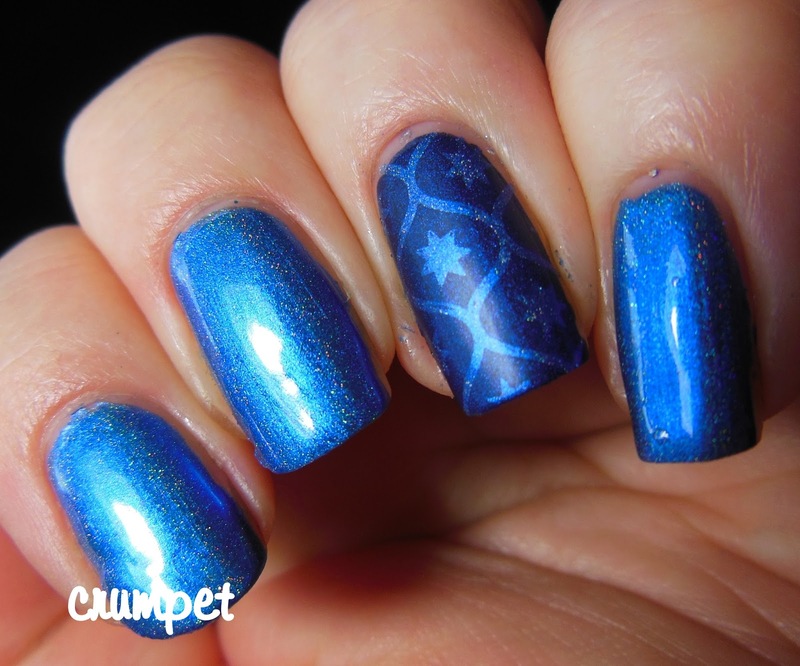 You can see Scallawag in all his glory on the other nails. 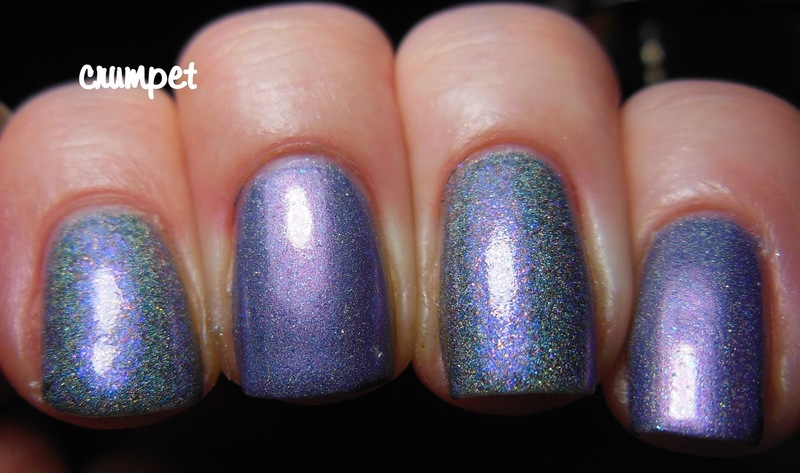 Tease and Mirth are 2 older polishes. 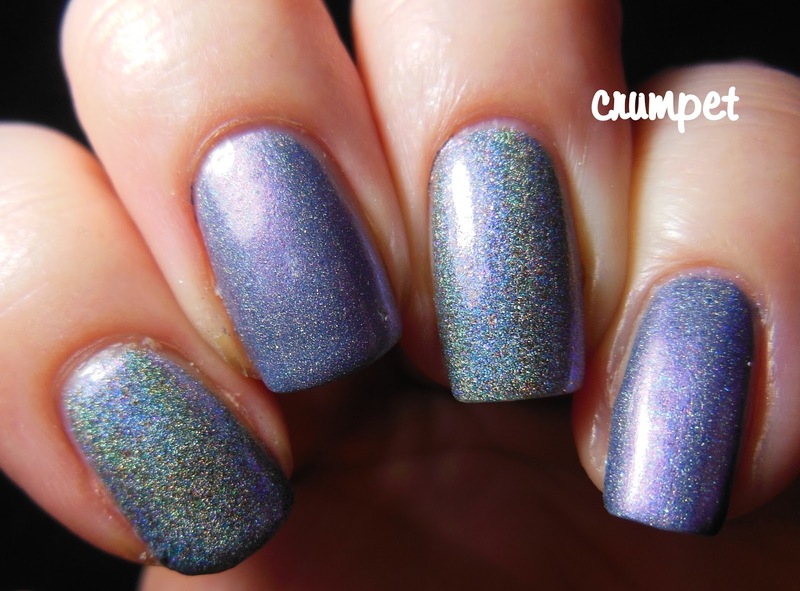 Although they are holos, they are a very different type of holo to what you usually see. There's a lot of complexity here, and although it doesn't feel gritty, in close up it LOOKS gritty - but I quite like that. 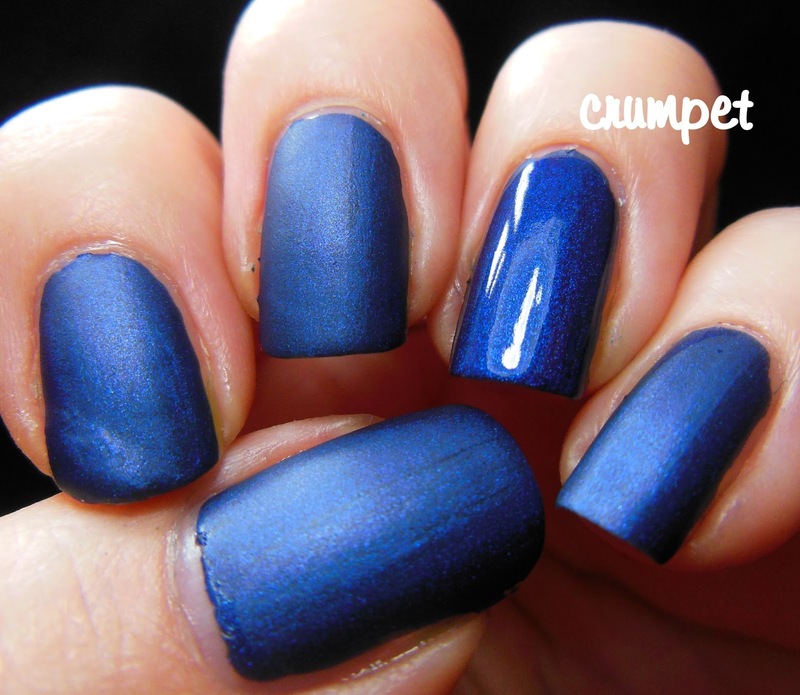 Tease is the slightly bluer polish, Mirth the slightly greyer. 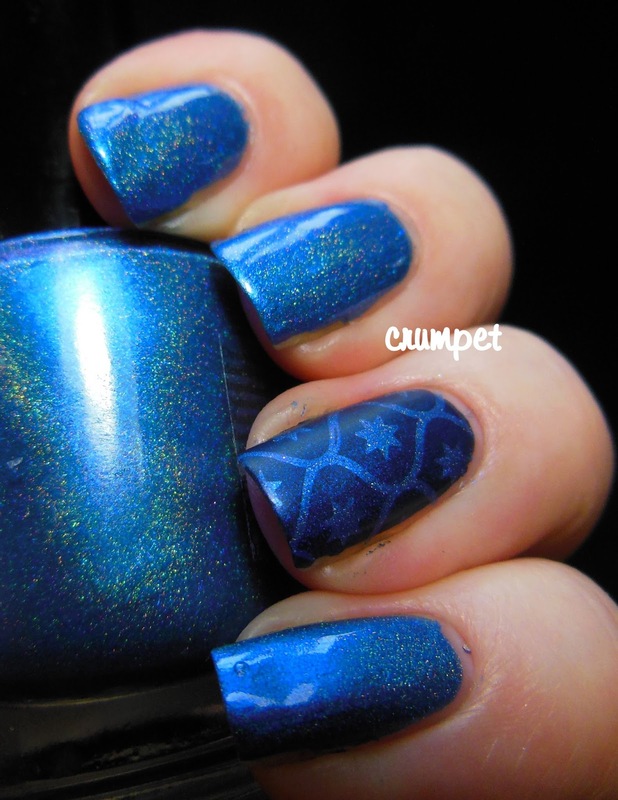 Both of them hold a lot of light, but it's that complexity that I love. 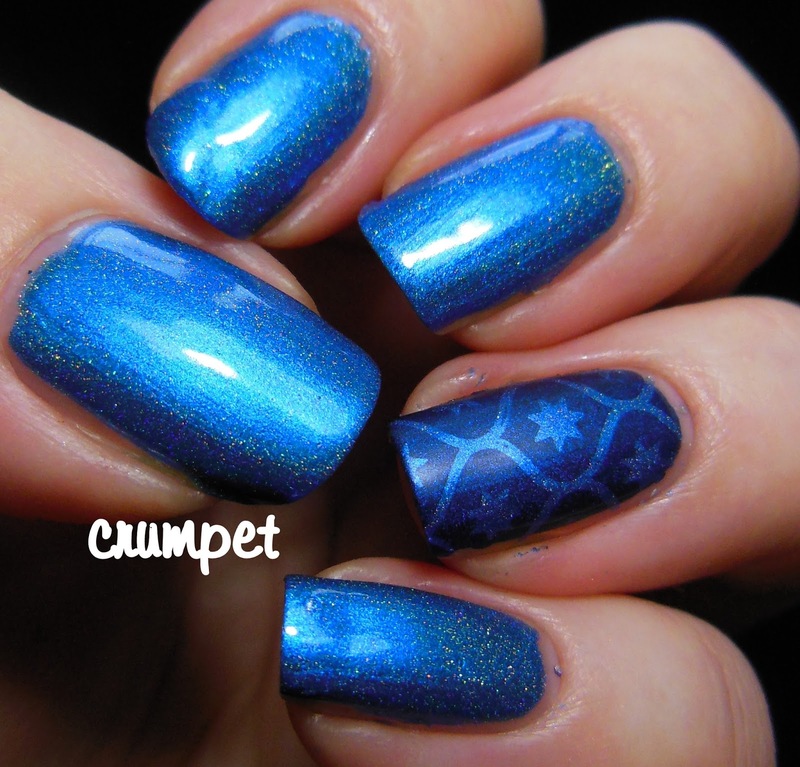 The final pair are Seduce and Bliss, with Seduce being the slightly brighter, more sky blue of the pair. 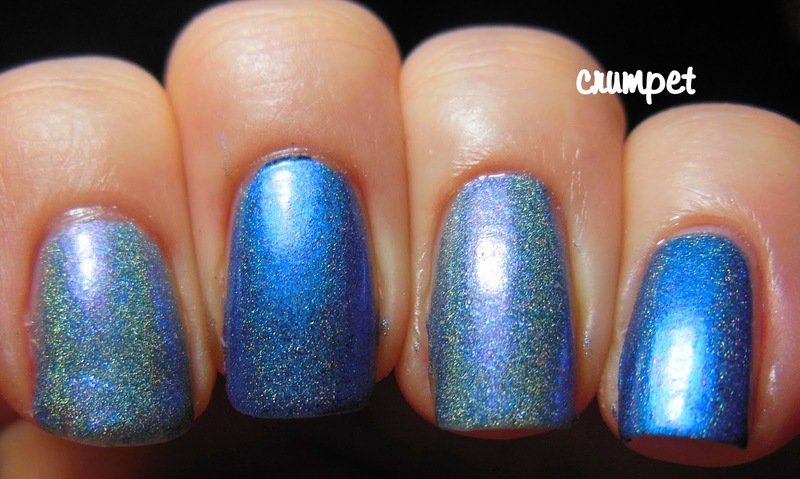 These are also a little older, and these scattered holos also have that same "gritty" look to them, althought they are completed smooth. 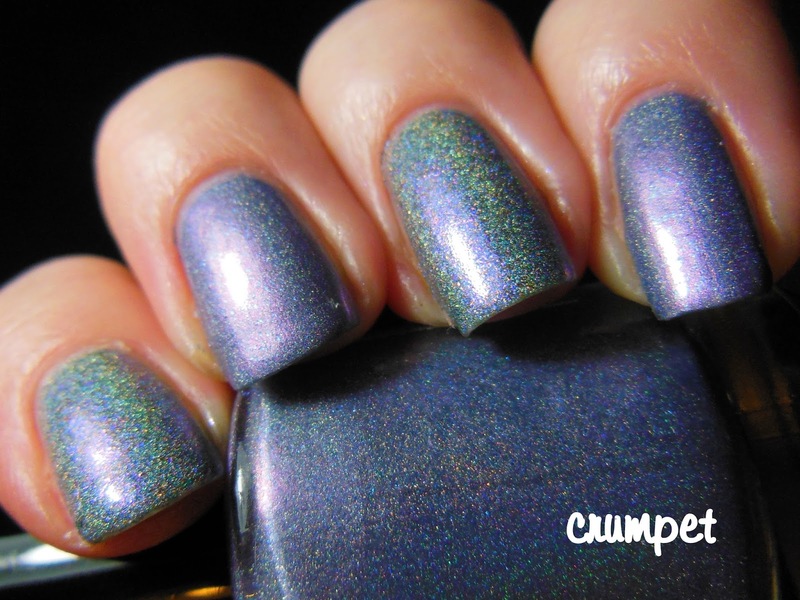 Maybe the best way to describe them is that they look like a holofied matte polish. Fabulous. 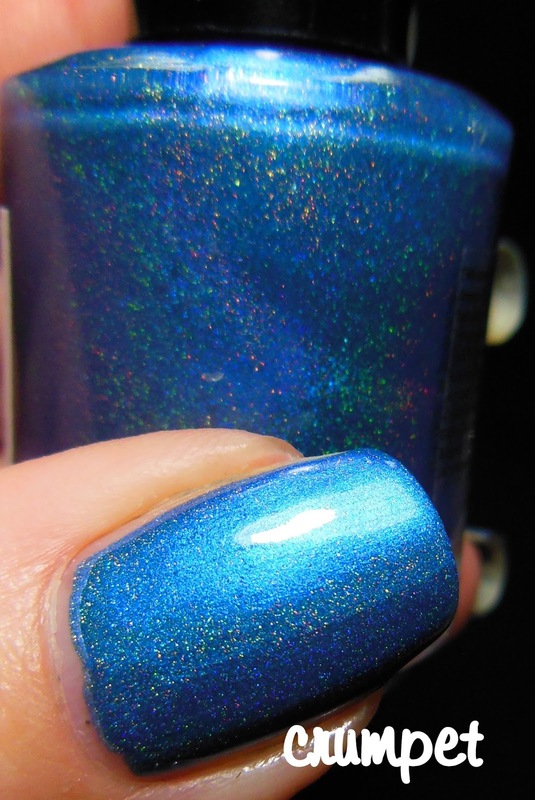 I love Mentality polishes. They are a good price, great quality, and now with an extensive range of finishes. 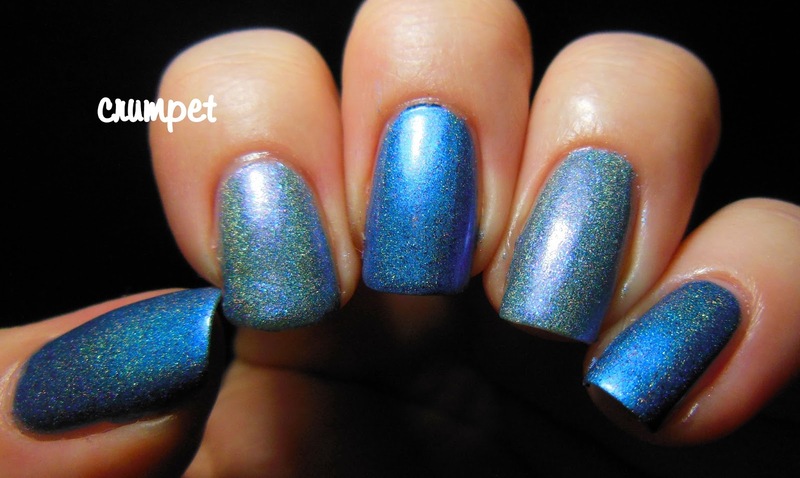 They are also really prolific, releasing new colours and finishes every month, so be sure to follow their FB page HERE.